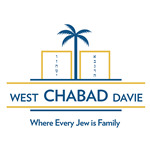 in addition to the many Programs and Services at Chabad of west Davie Rabbi Mendel Spalter is available for any Rabbinic services you or your family might need outside the walls of the Synagogue. His warm smile and patience help make any difficult situation a little easier. Our philosophy is that every Jew is a lifetime member; no affiliation neccessary.